Home / Newsroom / "Atos to acquire Bull to create a European global leader in Cloud, Cybersecurity, and Big Data"
With 2013 revenue of €1,262 million and operations across more than 50 countries, Bull is a leading player in Cloud, Cybersecurity, and Big Data, and the European global leader in High-Performance Computing. The combination will create the #1 European player in Cloud operations and a leading Cybersecurity solutions provider. Bull will bring critical and complementary capabilities in Big Data which, combined with Atos solutions will create a unique offering in this high growth segment. The transaction will enhance Atos' offerings in mission critical solutions for Manufacturing, Healthcare, and Public Sector, and will reinforce the Group's footprint, mainly in France but also in geographies such as, Iberia, Poland, Africa and Brazil. Atos will launch a public offer at €4.90 per share in cash, representing a 30% premium vs. the 3 month volume weighted average share price of Bull. Shareholders representing the largest Bull's stake with 24.2% (Crescendo Industries and Pothar Investments) have already committed to tender their shares. €80 million of annual cost synergies are expected after 24 months from the accelerated completion of the “One Bull” plan for €30 million and from additional synergies mainly resulting from the combination of international operations and reduction of purchasing and real estate for €50 million. The transaction is expected to be accretive on Atos' EPS as early as the first year and by above 10% after 24 months. The transaction has received the unanimous support from both Atos and Bull's Board of Directors. Atos, an international information technology services company, and Bull, the trusted partner for enterprise data, together announced today the intended public offer in cash by Atos for all the issued and outstanding shares in the capital of Bull. Atos offer is set at €4.90 per Bull's share in cash, representing a 22% premium over the Bull's closing price (€4.01) on Friday May 23rd, 2014, the last trading day before this announcement, and a 30% premium with respect to the 3 month volume weighted average share price (€3.77).The offer will also target the outstanding Bull's OCEANEs at €5.55 per OCEANEs. The offer values the fully diluted share capital of Bull Group at approximately €620 million. The offer is subject to reaching a minimum 50% + 1 share of Bull's share capital acceptance level, and Atos intends to ultimately delist the Bull shares by way of squeeze-out or a subsequent merger between the two companies. On Sunday May 25th, 2014, the Board of Directors of Bull has expressed its full and unanimous support for the transaction and has appointed pursuant to the AMF regulation an independent expert to provide a fairness opinion on the terms of the offer. The Board of Directors of Atos held on Friday May 23rd, 2014 also expressed its full and unanimous support for the transaction. Crescendo Industries and Pothar Investments, representing in aggregate Bull largest shareholder with 24.2% share capital have both committed to tender their shares to the Atos bid. As part of the Atos' “2016 Ambition”, this combination will enhance Atos' #1 position in Cloud services in Europe, anchor its global leadership in Managed Services and Systems Integration. Complementary technologies will further increase Atos' businesses impact and the relevance of its disruptive and innovative offerings. The combination will reinforce Atos' #1 European position in Cloud operations with around €400 million of revenue in Cloud services, including Canopy. This will substantially enhance the Group's operations in Cloud infrastructure solutions as Bull brings new technical capabilities and technologies that Canopy already had in its R&D roadmap, accelerating time-to-market for specific blocks relevant to Cloud. Atos intends to create a Big Data & Cybersecurity dedicated entity under the Bull brand with revenue of circa €500 million. The objective is to leverage Atos global reach and existing operations in those segments with Bull unique expertise in Cybersecurity and in High Performance Computing (HPC). Big Data is a fast growing market at circa +40% per year and is expected to reach €12 billion through 2015 1). A significant part of Big Data requires HPC technology and Bull is the European leader in this market. Atos' vertical market knowledge, large customer base, and Systems Integration capabilities combined with Bull expertise in HPC infrastructure, will expand Atos' service offering and bring HPC business at scale. This will also allow Atos to further develop analytics solutions and propose Big Data services to establish its position in this fast growth market. In the highly fragmented Cybersecurity market where niche players co-exist, the combination of Bull and Atos' Cybersecurity capabilities will create a leading provider of products and services with a distinctive size. The new Group will benefit from in-house R&D, patented technologies, specifically designed hardware and software products in selected segments, such as Cybersecurity and Cloud Security. All Service Lines of the group will benefit from this unique set of assets in order to win large deals as security has become critical to build trust in all digital environments. Atos Managed Services will be complemented by circa €500 million revenue coming from Bull. This will enrich current Atos' offerings as Bull's expertise in Mission Critical Maintenance services and Mainframe Migration services will enable Atos to address new verticals with an increased scale. Bull will bring new mainframe migration capabilities and solidify further the strategic partnership with EMC. In Systems Integration, the contribution of circa €300 million revenue from Bull will increase Atos' scale and the extension of the customer base will allow cross-selling of Atos' offers, especially in Manufacturing, Banking, Defense, and Public Sectors. The alignment of Bull's scope on Atos best practices through an operational improvement program is expected to generate higher project margin in line with Atos three-year plan. From a geographical standpoint, the combination will strengthen Atos' European leadership, especially in France where combined revenue will exceed €2 billion (pro forma 2013) with a strong footprint in the public and banking sectors. The combination will improve operational effectiveness by reducing SG&A including real estate, and decreasing purchasing costs by leveraging the combined higher scale. Additional savings of €20 million in procurement and real estate. These costs synergies are backed by a well identified and planned integration strategy within Atos' operations, based on already experienced transformation programs in previous large transactions. The implementation costs are estimated at €45 million over a 24 months period. This amount comes in addition to the €50 to 60 million costs of the “One Bull” plan announced in January 2014. As part of the on-going “One Bull” plan, Bull's top management intends to submit the booking of a provision reflecting these costs to the Bull's Audit Committee and to the Bull's Board of Directors approving the accounts to be closed on June 30th, 2014. The transaction is expected to be accretive by more than 10% on Atos EPS within 24 months of integration 2) and will preserve the solid financial flexibility for Atos to further implement its development strategy. Offer also targeting the outstanding Bull's OCEANEs at €5.55 per OCEANEs. Today, May 26th, 2014, Thierry Breton Chairman and CEO of Atos, together with Philippe Vannier, Chairman and CEO of Bull Group, will comment the project and answer questions from the financial community during a conference call in English starting at 8:00 am (CET - Paris). The conference (audio and webcast) and the presentation will also be available on: atos.net, in the Investors section. Today, May 26th, 2014, Thierry Breton Chairman and CEO of Atos, together with Philippe Vannier, Chairman and CEO of Bull Group, will hold a press conference in French for media at 11:00 am (CET, Paris) at Westin Hotel – 3 rue de Castiglione – 75001 Paris. The presentation will be available on atos.net. Rothschild is acting as sole financial adviser of Atos for this transaction. 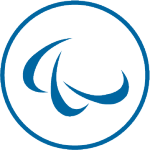 Atos SE (Societas Europaea) is an international information technology services company with 2013 annual revenue of €8.6 billion and 76,300 employees in 52 countries. Serving a global client base, it delivers IT services in 3 domains, Consulting & Technology Services, Systems Integration and Managed Services & BPO, and transactional services through Worldline. With its deep technology expertise and industry knowledge, it works with clients across the following market sectors: Manufacturing, Retail & Transportation; Public & Health; Financial Services; Telcos, Media & Utilities. Bull currently employs around 9,200 people across more than 50 countries, with over 700 staff totally focused on R&D. In 2013, Bull recorded revenues of €1.3 billion. This document contains further forward-looking statements that involve risks and uncertainties, including references concerning the Group's expected growth and profitability in the future which may significantly impact expected performance than indicated. Significant risks and uncertainties are linked to factors out of the control of the Company and not precisely estimated, such as market conditions or competitors behaviors. In this document, all information relating to Bull has been elaborated with regards to public information. Any statements made in this document that are not statements of historical fact, including statements about Atos' beliefs and expectations and statements about Atos' proposed acquisition of Bull, are forward-looking statements and should be evaluated as such. Forward-looking statements include statements that may relate to Atos' plans, objectives, strategies, goals, future events, future revenues or synergies, or performance, and other information that is not historical information. Actual events or results may differ from those described in this document due to a number of risks and uncertainties that are described within the 2013 Registration Document filed with the Autorité des Marchés Financiers (AMF) on April 2nd, 2014 under the registration number: D14-0272. Atos does not undertake, and specifically disclaims, any obligation or responsibility to update or amend any of the information above except as otherwise required by law. 1) According to “Worldwide Big Data Technology and Services 2012-2015 Forecast” (IDC 2013). 2) Assuming additional impact of amortization of intangibles through PPA of circa €15 million p.a. Assuming 60% minimum acceptance of the offer.